Maximum performance of any non-scalable computing system may happen to be insufficient to meet the users' demands. So there arises the need for the systems that can be easily adapted to any greater load. These goals can be achieved by building scalable applications which are based on clustered and distributed architecture. Distributed server architecture solutions gain scalability by executing different system modules at separate hardware, while clustered solutions operate by running the same application or application module at several cluster nodes at once. Scalability. The application is able to scale the performance beyond the capabilities of a single server. High availability. The application downtime is reduced and single points of failure are eliminated. Fault tolerance. The application is protected against possible failures and recovery time is minimized. Our offshore software development expertise includes implementing distributed application architecture and clustered solutions based on Jini Network Technology and J2EE platform. We have implemented the platform for building distributed and clustered applications which is based on Jini Network Technology. 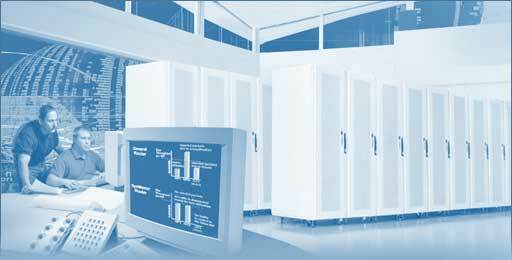 This technology provided a basis for implementing distributed services framework. We utilized standard Jini services for distributed two-phase commit transactions and distributed persistent object storage. Since we found some significant disadvantages in their implementation, we had to modify them to optimize their performance and organize better resource usage. We have also implemented our own entity management framework based on Jini. This platform suited as a basis for building numerous applications. It suits well for any informational systems that need scalable performance, fault tolerance, and 100% safety of data. Java 2 Enterprise Edition (J2EE) is one of the most widespread platforms for building distributed and clustered applications. It may be considered a de-facto standard for building complex information systems. J2EE application servers are supplied by major software vendors such as Sun, IBM, Oracle, Borland, Sybase, SAP and others. The main advantage of J2EE is that it accelerates development process by giving developers a high-level framework for building distributed and clustered applications. It does not provide as much flexibility and performance as our inhouse solution based on Jini Network Technology but at the same time is more adherent to common standards and lets achieve faster development speed, easier support and extension and higher reliability. Standard adherence predetermines rich capabilities of integration with other systems. Basically we recommend considering J2EE to all our customers who need a complex scalable information system with high potential to further extensions and support. To learn more about our company, please see our Company, Services, Outsourcing Partnership areas, or contact us for more information.